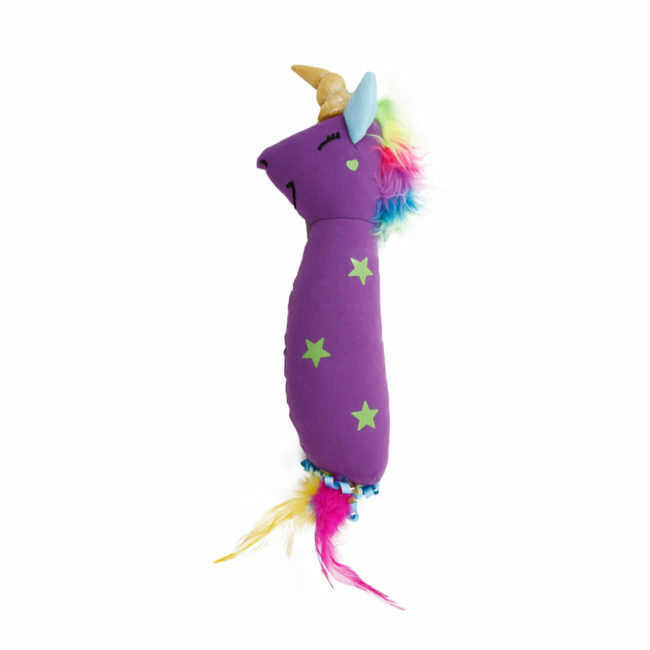 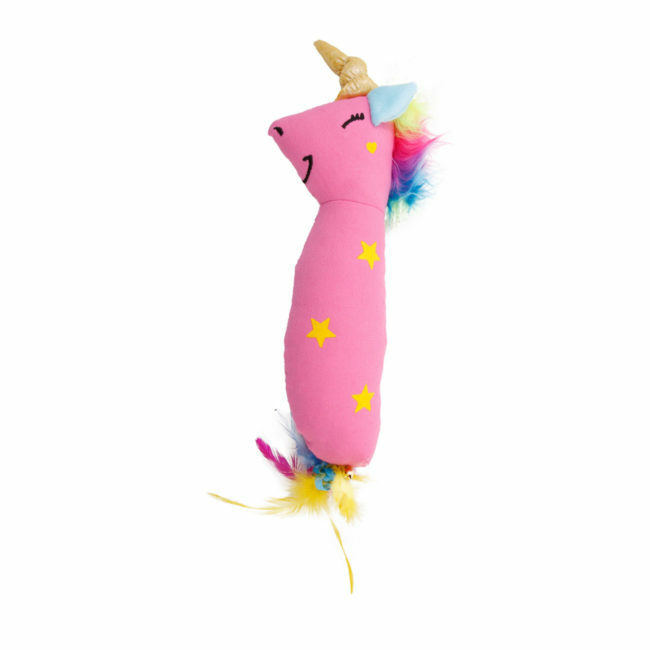 Encourage your cat to use her imagination with the Hartz Cattraction Unicorn Kicker Cat Toy. 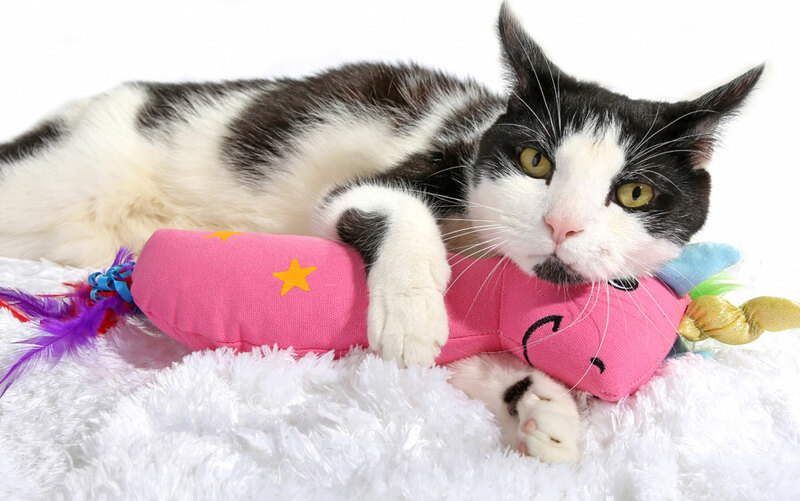 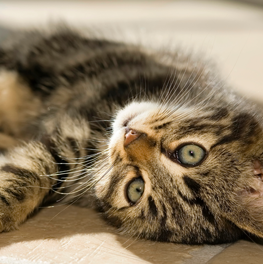 This cuddly companion has plenty of whimsical features to keep any folkish feline captivated for hours of thrilling play. 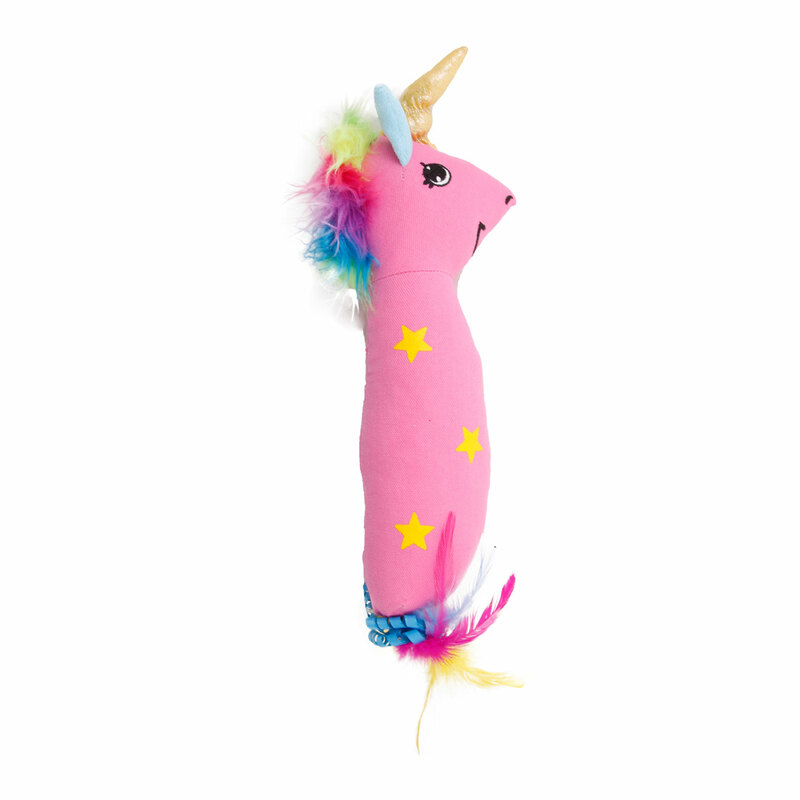 Adorned with fluttery feathers, ribbons, a wispy rainbow mane, star patterned body and shimmery spiral horn, the Hartz Unicorn Kicker boasts an oversized plush design with plenty of curves and contours that promote wrestling, kicking and hugging for extended periods of fun and exercise. 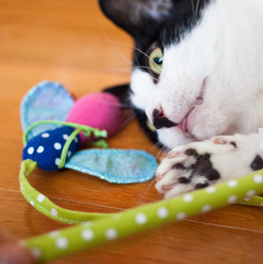 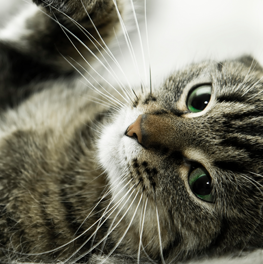 Filled with a natural, yet potent combination of silver vine and catnip attractants, Hartz Kickers grab and hold your cat’s attention. 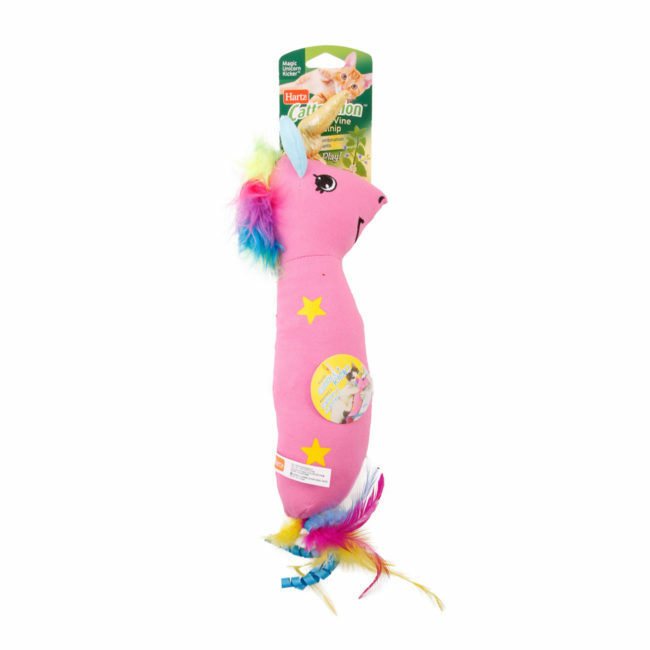 Durable canvas material withstands rigorous play from your tiny hunter, while maximizing the diffusion of attractants.